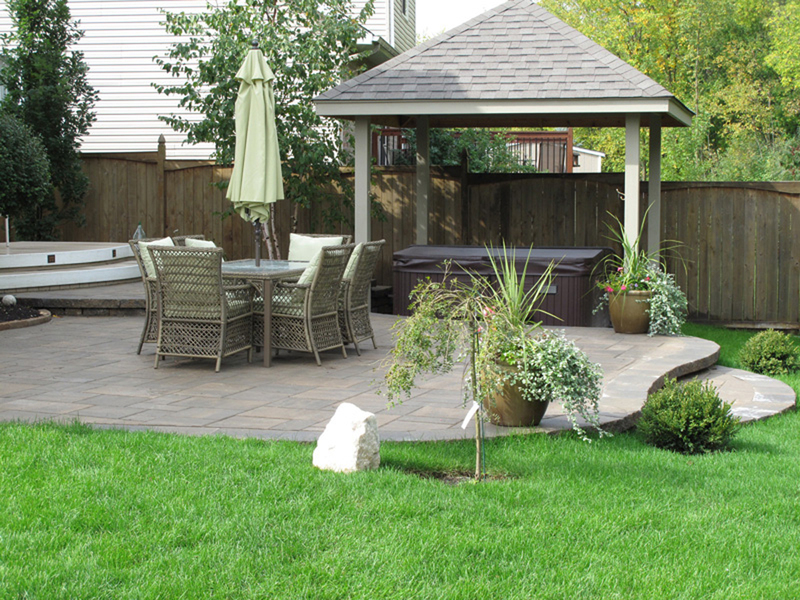 Make your landscaping dreams a reality with Ottawa Home and Garden! Not sure where to start on your landscaping or poolscaping project? Many clients ask what the process is once they decide they want to get Ottawa Home & Garden on board. After contact is established, we’ll discuss your potential project to determine which services may be needed to help make your landscaping dreams a reality. At that, we’ll work out a cost estimate for your project. If it is determined that a representative of Ottawa Home and Garden is required to do an on-site estimate, we will be happy to set a time that’s convenient for both parties to do so. Once the estimate is completed, we ensure that it accurately corresponds to the work required for your individual project. Property access is also determined to allow the scheduled work to be completed in a reasonable and timely fashion with our equipment and machinery. Once these factors have been agreed upon, a contract is formed and we schedule a date to begin. Ensure that the area is marked out according to the contract. Make sure the products picked for your project are in stock and ready for our delivery date. Discuss any adjustments that may be required to your project. Re-establish the start date, which can vary as a result of adjustments to the project, changes in weather, or extenuating circumstances. Once Ottawa Home and Garden is on-site to begin your landscaping project, we ensure all the proper steps are taken in order to execute the work on time and on budget. Throughout the process, quality control and standards are set high and kept up – which guarantees our clients fabulous results time after time. When your project is complete you can relax and enjoy your own personal paradise. When Ottawa Home & Garden completes a project; you can rest assured knowing that expert craftsmanship and 20 years of local experience and expertise went into perfecting your property. Now the fun begins. You can decorate your space and enjoy it for years to come!